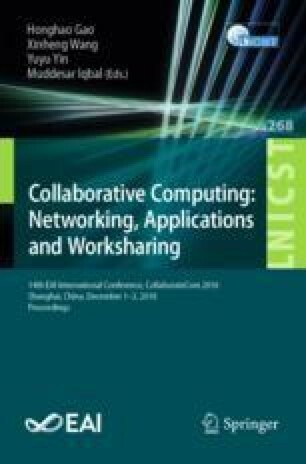 In online collaboration, instead of the objective strength of social relationship, recent study reveals that the two participants can have different subjective opinions on the relationship between them, and the opinion can be investigated with their interactive language on this relationship. However, two participants’ bidirectional opinions in collaboration is not only determined by their interaction on this relationship, but also influenced by the adjacent third-party partners. In this work, we define the two participants’ opinions as the subjective strength of their relationship. To measure the bidirectional subjective strength of a social relationship, we propose a computational model synthetizing the features from participants’ interactive language and the adjacent balance in social network. Experimental results on real collaboration in Enron email dataset verify the effectiveness of the proposed model. This work is supported by National Natural Science Foundation of China (U1736103), National Natural Science Foundation of China (Key Program, U1636203), the state key development program of China (2017YFE0111900) and National Natural Science Foundation of China (61472277).